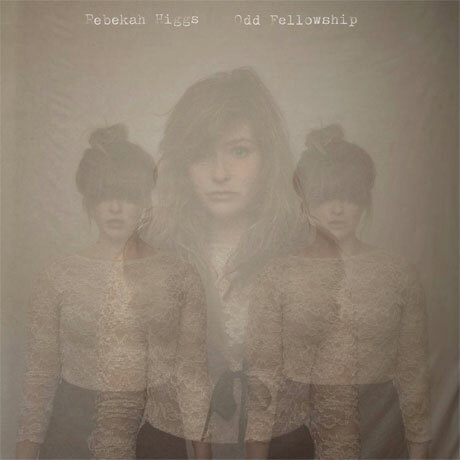 Back in the spring, Canuck songstress Rebekah Higgs announced that she had signed to Hidden Pony, the fast-growing label that's released albums by Said the Whale, Hannah Georgas, Jeremy Fisher and Imaginary Cities. It's no surprise, then, that the Toronto-via-Halifax singer has now announced her new album. Entitled Odd Fellowship, Higgs's sophomore LP will drop August 23. The album was produced by big-name studio whiz Brian Deck (Modest Mouse, Iron and Wine, Califone), who Higgs reportedly solicited with a hand-written note. It was engineered by Diego Medina (Chad VanGaalen). A press release notes that the album contains many "musical styles, shifting gracefully from melodic folk to psych pop, with big guitar licks and tight laptop beats." You can hear jaunty, string-assisted pop tune "Gosh, Darn, Damn" embedded at the bottom of this page. Three of the album's tracks were previously released on last fall's Little Voice EP. See the tracklist below and the cover art above. Also, down below you will find the dates for Higgs's upcoming Canadian tour, which will take her across the eastern half of the country this fall. 5. "Give You What You Want"
7. "Girl in the Sweater"